Desserts make us happy, desserts make us smile! 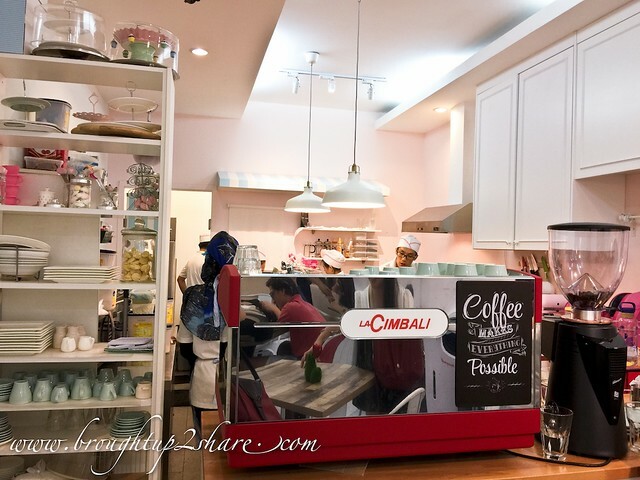 In the last few years, KL has seen a boom in artisanal boulangeries and patisseries. From specialized cupcake stores, designer donuts and dainty French pastries to more traditional buttery baked goods, croissants and crusty baguettes, the city has it all. But there’s one spot that I’ve been longing to visit even when I was still pregnant with Mini C but have yet to. 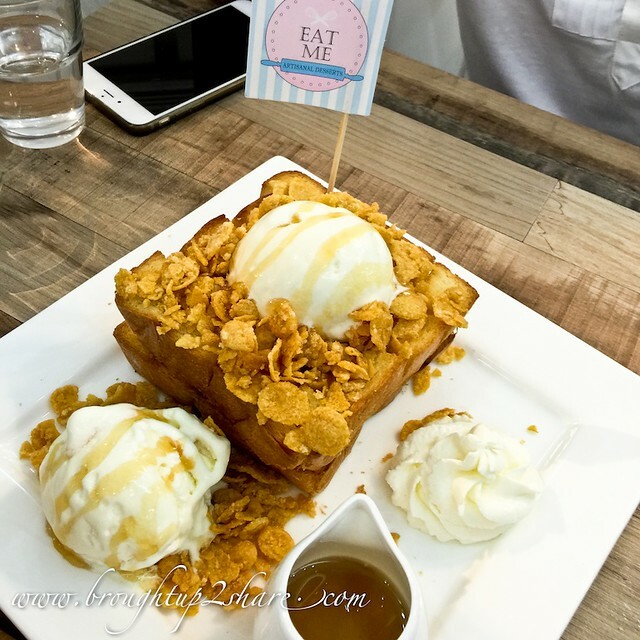 Of all sweet things Bangsar has to offer organized by neighbourhood, we finally found our way to the closest flaky, gooey or crispy delectable snack after a dinner session in in the Telawi neighbourhood with our best friends KampungboyCitygal & Ivy. 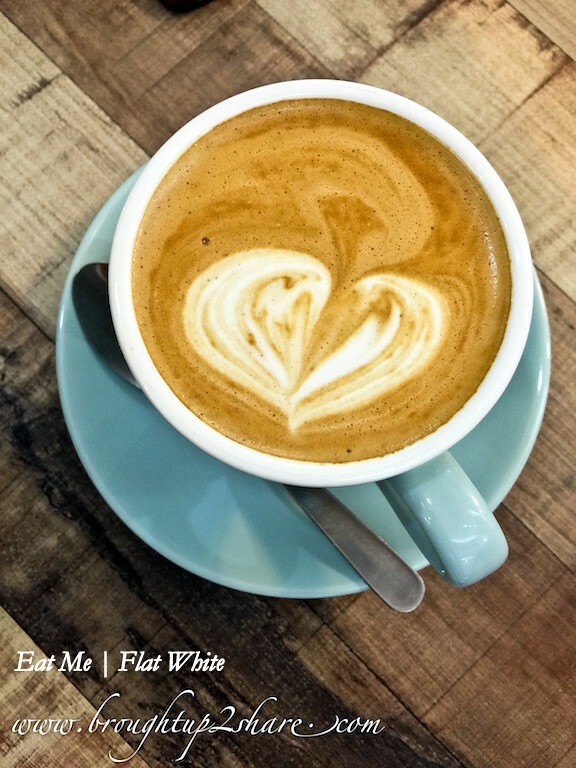 Considered one of the hippest areas in the city, we discovered unlike anything else that we have seen or tasted so unique in Bangsar area. We believe their desserts are prepared fresh daily using the finest ingredients, and the creativity and attention to detail that is put into each item is truly unsurpassed. I actually didn’t believe my eyes when I saw their unique and a variety selections of desserts. Thought it was just a few choices apparently. Lovely presentation, to the decadent textures and flavours in every bite, dessert at Eat Me are pretty impressive. Step into their petite sized shop and discover an array of artisan desserts that are delectable works of art. Though small in size, their “simple” interior design made me fell in love with. Who says an interior can’t be sweet enough to eat? Today we saw their inspiration from desserts! Did I mention Eat Me also belongs to the lovely lady (Joey) behind Killer Gourmet Burgers? 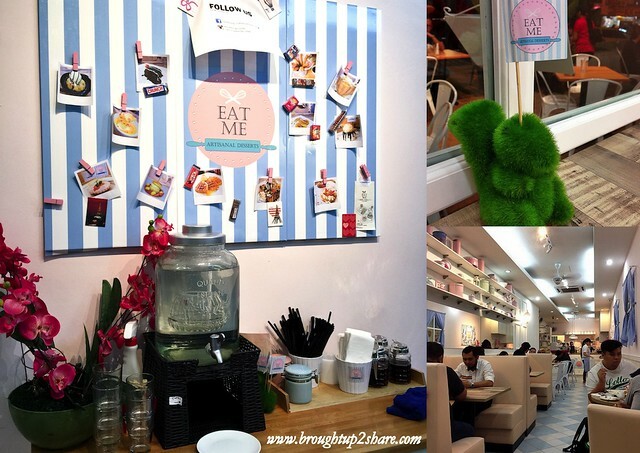 Citygal told me, Eat Me only opened its doors after a long R&D process right next to KBG. 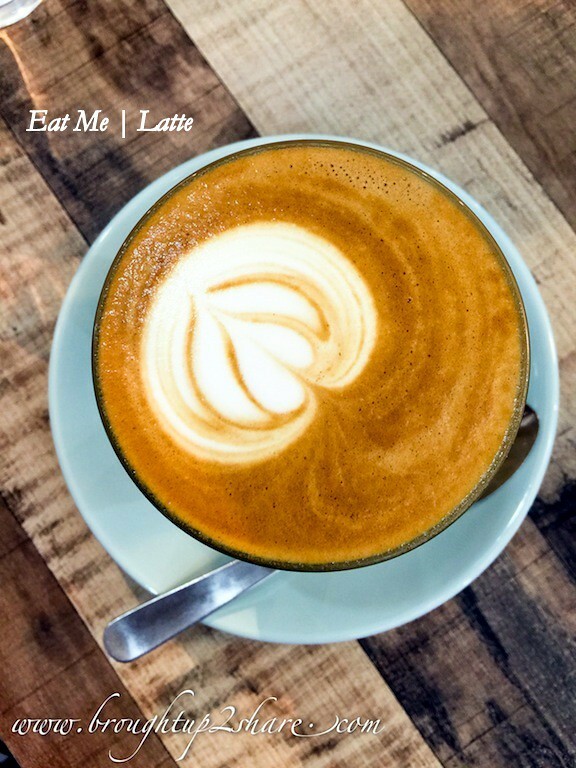 So while you’re having your burger over at KGB, you could order and savour desserts from Eat Me too! 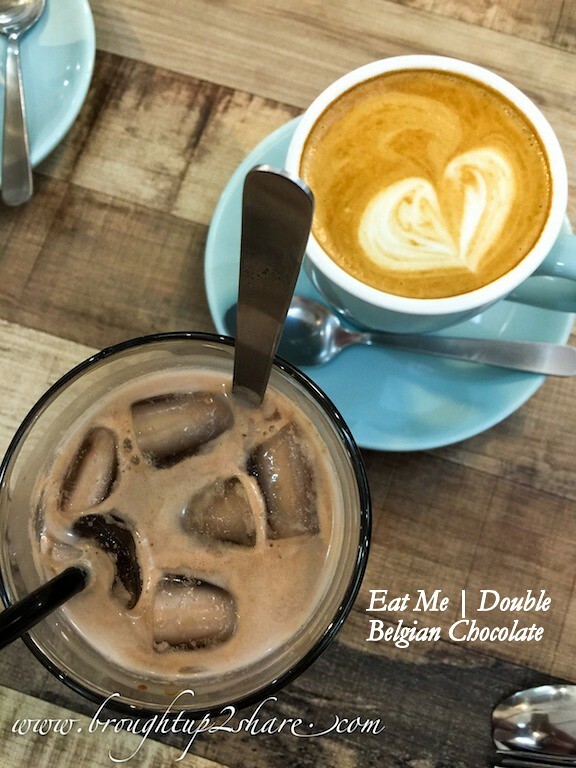 Desserts with Coffee & Chocolate drink are best friends OK! 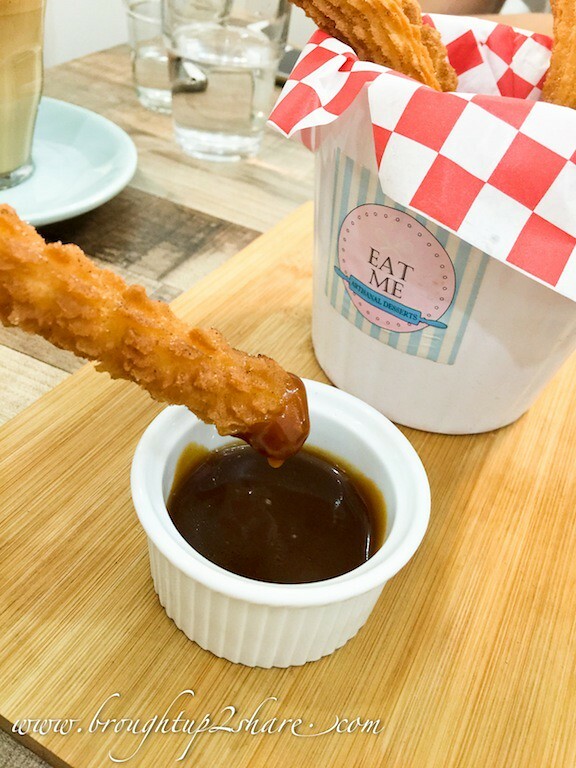 Signature golden fried churros served with Belgian Dark, Milk, White Chocolate or Salted Caramel. We also chose to add on Cinnamon powder on it too. All in all, the desserts here are elegant and dainty, always created with a slight twist that makes them extra special. 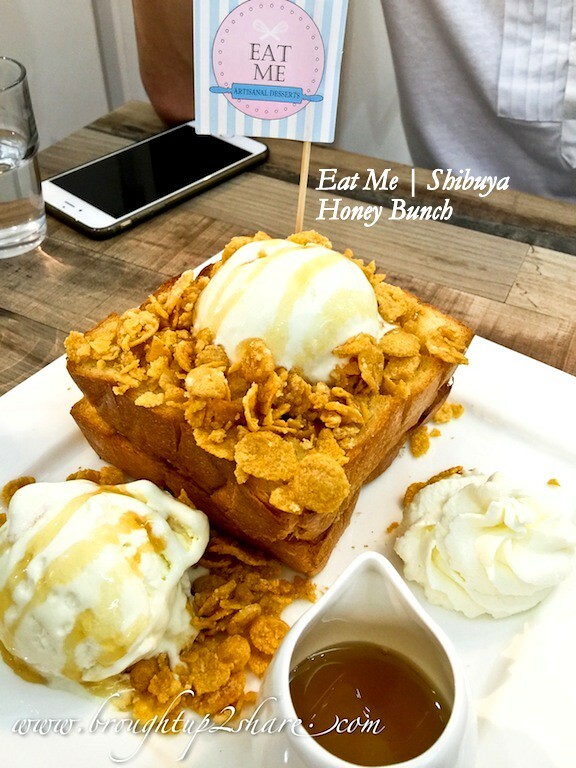 Can’t wait to try out other desserts like The Belgian Musang, Le Chempedak, oh there are so many more and update them in this post! 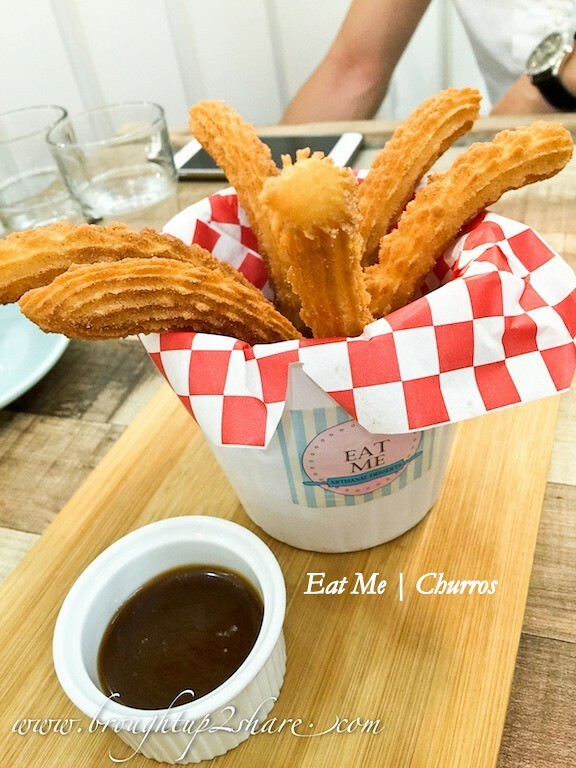 Ooooo been wanting to try the churros here. Last time we went there, shop wasn’t open!